At the end of month, we review some of our favorite educational apps that have been released or updated over the last thirty days. (Read our previous months' reviews.) Below you’ll find a mixture of iOS, Android, and Web-based apps. 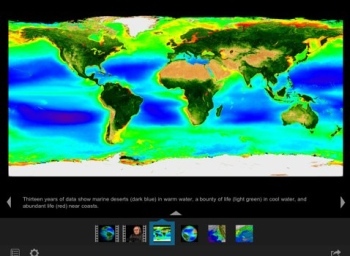 NASA's latest iPad app, the NASA Visualization Explorer (iTunes, free) brings some of NASA's research to the tablet. Developed in conjunction with NASA's Goddard Space Flight Center, the app includes visuals straight from NASA's satellites. The app includes high-resolution movies and still, as well as short stories and interviews helping to explain the material and the steps NASA takes in its research. NASA says it plans to update the app with two new science features per week. 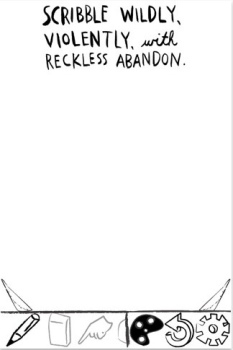 Wreck This App (iTunes, $4.99) takes Keri Smith's bestselling Wreck This Journal and turns it into an iPad app. For those unfamiliar with the title, Wreck This Journal encourages creativity through destruction, if you will, by encouraging people to paint, tear, poke holes, and scribble, challenging what it means to be creative within the pages of a journal. Wreck This App takes this concept and digitizes it, so users can doodle, scribble and deface the app. Of course, you're not really wrecking the app the same way you wreck a printed journal, as you can erase your digital marks and tears and then wreck the app again and again. Kona's Crate (iTunes and Android Market, $.99) is an incredibly fun puzzle game available for iOS and Android devices. 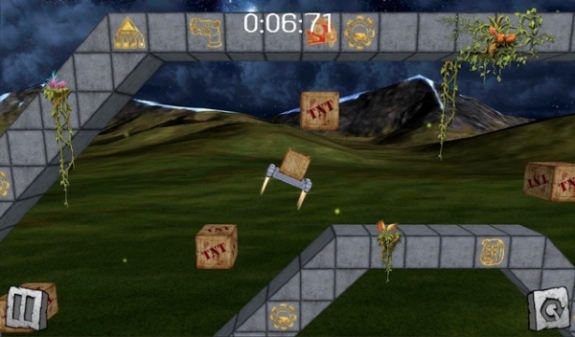 The game requires you maneuver a jetpack in order to deliver crates to Chief Kona. How is this educational you ask? Well, recently Angry Birds has received a lot of attention for its use of physics and for its educational potential, and while I haven't seen physics teachers rush to use Kona's Crate in the classroom in the same way, I'd contend it offers a similar sort of physic-oriented play, forcing users to think carefully (and move quickly) about motion and thrust. 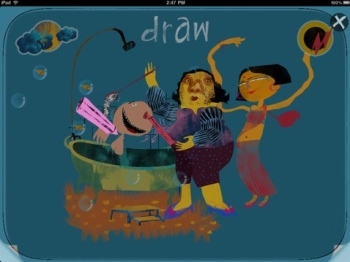 The creation of the artist Raghava KK, Pop-It is an interactive children's book that aims to teach teach open-mindedness while exploring the relationships between kids and their parents (iTunes, $1.99). We've covered the gaming studio Silicon Sisters before here on MindShift, with its work building video games for girls. The studio has just released its second title, School 26: Summer of Secrets (iTunes, $2.99). 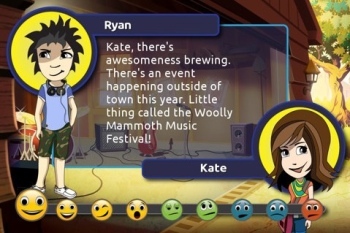 The theme of "social mastery" continues in this game, as the main character Kate and her friends navigate the social pitfalls of tween and teen life. "Our first School 26 game was about fitting in at a new school. Now that Kate has a network of friends, Summer of Secrets is more about being yourself and seeing the impact of your choices," says Silicon Sisters co-founder Kirsten Forbes. "As you play, the game tracks your decisions and presents you with a personality profile based on your playing style. So while you're helping Kate sort out all of these secrets, you'll also learn something about yourself." Have any favorites that we missed? Let us know in the comments.